CrowdabilityIQ is a “stock screener” for early-stage private companies. The first software of its kind, CrowdabilityIQ provides ratings and rankings on hundreds of private equity investment opportunities from all across the web. Essentially, it gives you a fast, easy way to avoid the riskiest start-up investments, and just focus on the ones with the most potential. For example, CrowdabilityIQ allows you to quickly search for deals that are backed by prominent venture capital funds or angel investors. This way, you’ll have the comfort of knowing you’re following “smart money” into a new investment. Other filters allow you to find opportunities based on factors like the founder’s education level, or the start-up’s valuation, geographic region or sector. Each company listed in the CrowdabilityIQ database also comes with a 10-to-15 page research report. The report includes detailed information about the company’s funding history, its key investors and team members, and much more. 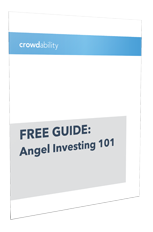 CrowdabilityIQ subscribers include individual investors, institutional money managers, financial advisors, and venture capitalists who are looking for potential investment ideas.